How to Tell if Silver is Real? 10 Super Easy Ways According to Pros! We adore silver – it’s a metal used in a variety of jewelry applications, from unique artisan pieces to classic, elegant settings. It’s easy to work with and can be shined to an incredible luster. Not only has silver been used for jewelry, but it’s been a staple of coinage and bullion for hundreds of years. Silver is part of a unique group of metals called noble metals, meaning that they resist oxidation and corrosion, what you might be familiar with as rust or decay. Other noble metals include platinum and gold, which is what makes silver a great medium to work with when it comes to jewelry. These are highly durable and tend to retain their color and shine as opposed to other metals. 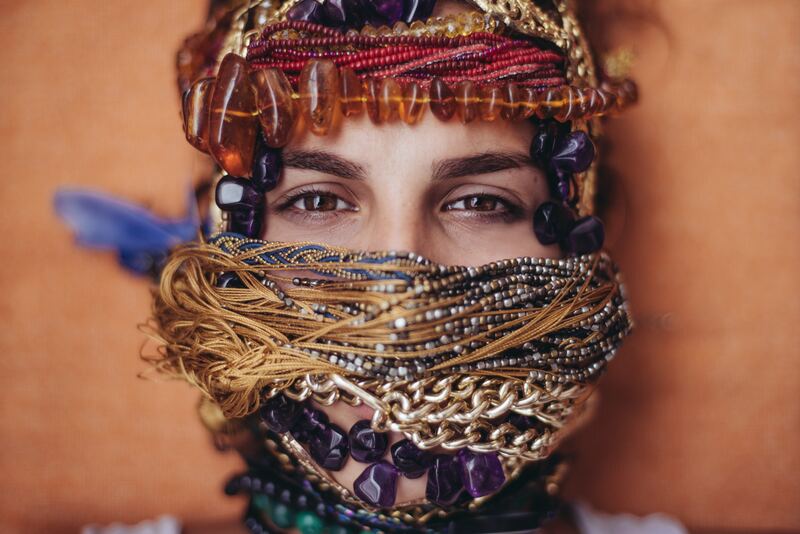 There’s a reason jewelry is mostly silver and gold: not only is it soft and easy to work with, but by resisting tarnish and other types of decay, it is a safe metal to work with to create beautiful pieces of jewelry that can last hundreds of years. Silver has a long history, going back at least as early as 4000 BCE with silver mines located in Anatolia, which is now modern-day Turkey. This is where silver first began to be traded worldwide from, and demand rose for this beautiful metal so much that additional mines had to be constructed. China began refining silver and made advancements in mining to be able to gather the resource easier. With China’s silver production becoming some of the most sought after, other distributions opened in Greece, Spain, and onward into North and South America. Out of all these regions, Peru and Mexico dominate, producing over 20% of the world’s silver. While not all the silver was used for jewelry, it was still a favored metal among many people. Silver was preferred to hold diamonds and other precious stones, as the cool-toned hue of the metal enhances the rainbow of shine that comes from these stones. This is most likely the reason for why white gold is so popular – its aesthetic roots seem to point back to silver! Sterling silver is a specific designation of silver; it’s not just pure silver, as that would be too soft. Sterling silver is an alloy, which is a combination of metals, comprised by weight of 92.5% silver, and 7.5% other metals. The other metal typically added to the silver alloy is copper. 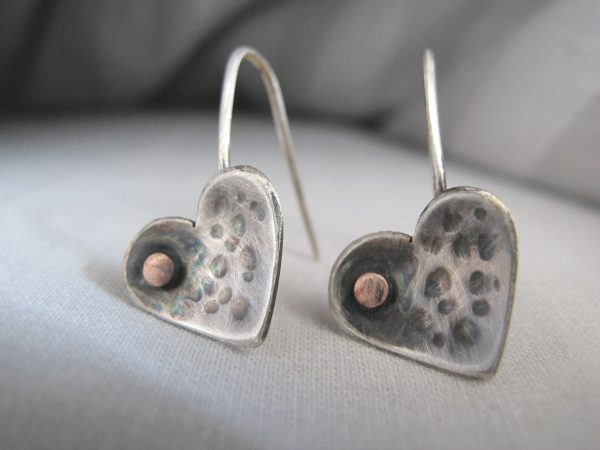 Since pure silver is incredibly soft, copper hardens up the metal to a point that you can work with it for jewelry. Sometimes other metals such as zinc or platinum are added instead of copper to help prevent tarnishing, but if the composition of silver is 92.5%, then the tarnishing shouldn’t be too much of an issue. Sterling silver isn’t the only kind of silver that was used in jewelry. There was another type of silver used in the 17th century called Britannia silver. Named after the British icon of Roman Britannia, this grade of silver is softer due to it having a higher concentration of silver than sterling. It was introduced to Britain in 1697 with an act of Parliament to try and replace the standard for “wrought plate,” which are items made from melting and hand shaping silver. Since sterling silver was the standard for currency in England at the time, there was a problem with coins being melted down for silver working. There was also a rise in currency forgery and the melting of chipped silver coins being made into bullion, effectively reducing the value of Britain’s currency market. 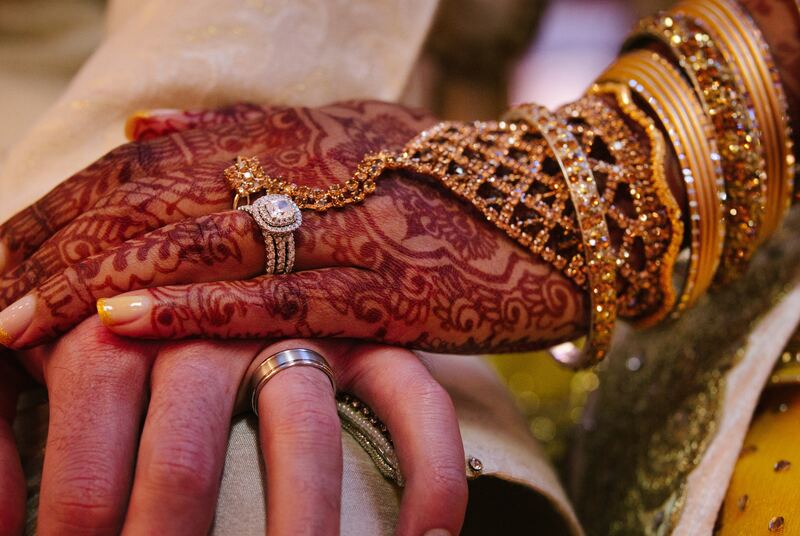 It can be hard to tell whether a piece of jewelry is authentic, especially in an age where jewelry is mass produced and affordable. 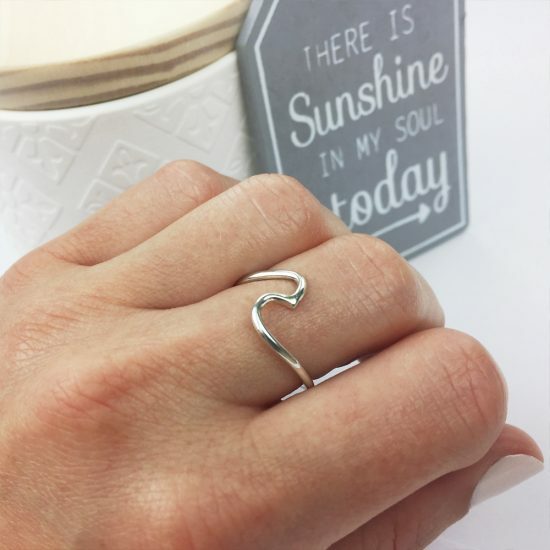 Lovers of silver will be sure to tell you one of the best things about the metal is how affordable it is, while still being incredibly beautiful. There are many ways you can tell if a piece of silver is real or not, and not all of them require you to be in person. Some tests can be quick, like checking for a stamp or a certain color. Other tests can be a little bit more involved, such as chemical testing. Thankfully you don’t have to do all these tests to determine whether your piece of silver jewelry is authentic, so mix and match tests based on what’s appropriate for the piece you’re examining. So, if you’re looking to buy a new piece of silver jewelry, or already have a piece of jewelry you adore but you’re not sure if it’s made of silver, read on! 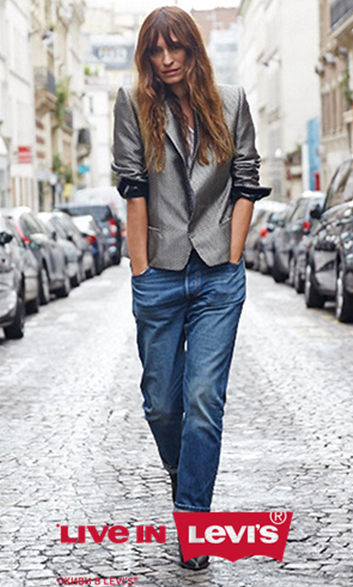 We’ve found 10 ways to check whether the silver you’ve got your eye on is the real deal. One of the easiest ways to tell that your silver jewelry is pure or not is to see whether it leaves any kind of stain on your skin. 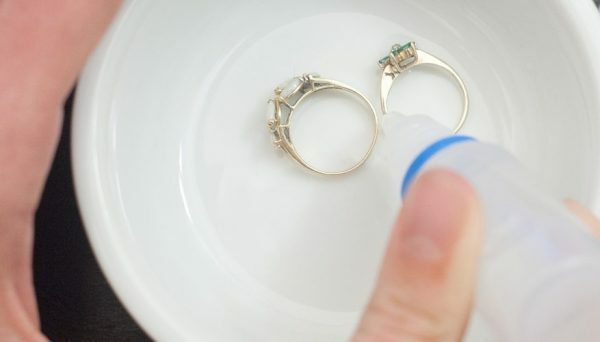 If you’ve ever bought an inexpensive piece of jewelry, you’ll know the stain we’re talking about – that greenish or black stain that shows up underneath where you were wearing that ring or necklace. Your skin becoming stained happens because copper or another oxidizing metal has been sneaked in and mixed with silver. Copper tends to oxidize and creates copper salts with your sweat, oils, or lotion on your skin, leaving behind a greenish hue. That’s why a lot of domes for government and religious buildings are green – they’re made of copper! While this green stain on your skin is harmless, it’s a mark of impure silver, so if you’re looking for a genuine silver, not having this stain after is one of the easiest ways to tell if your jewelry is the real deal. Unfortunately, it does require you to wear the jewelry first, but even if it does end up not being pure silver, you can still salvage your piece. You could choose to coat the surfaces your skin touches with clear nail polish or a jeweler’s lacquer. This is temporary, as friction will wear down the coating over time, but you can wear your jewelry without worry if it does happen to be made of silver and other alloys. If you’re looking to avoid the possibility of green hue all together, there are other ways to inspect your silver to make sure you don’t have to experience that surprise when you take off your ring. Most of the silver you see advertised is .925 sterling silver. Remember, this means that the silver has a purity of 92.5%, which is quite high! Compare this to 14k gold: that’s only 58.3% pure. Surprising, isn’t it? Even though silver tends to be the least expensive noble metal to work with, many jewelry makers will still cut corners and try to save money by silver with another metal mixed in. As mentioned above, you may recognize this when you’re wearing a piece of jewelry, and then suddenly your skin turns green. This metal might have even been called silver but take a closer look: if it was dubbed “international silver,” or has an IS stamp on it, that means that it is silver plated, and your plating may have worn off. Silver that has the .925 stamp in it will be that 92.5% jewelry grade purity and will not have this effect. You may also see this designated on jewelry with a mark of “ster” or “sterling,” so make sure you look for all the ways it could be marked. There are other grades of silver that can be marked via stamp, but these are generally thought of as “coin silver.” These will have stamps of 900 and 800, which means 90% and 80% purity respectively. Generally, the 900 and 800 stamps are found on coins, but some jewelry makers may have taken old coins to make your piece, which is why that stamp would be there. Any variation on this indicates silver purity as well. For instance, if your piece is marked 626, that means that it is 62.6% silver, and the remaining amount is of other metals. It’s still technically a silver alloy but it’s not as high of a grade as sterling and may have more issues with oxidation and staining. The benefit of this stamp is that jewelers like to tell the consumer what grade of metal their pieces are made from and many will have a stamp somewhere inconspicuous. 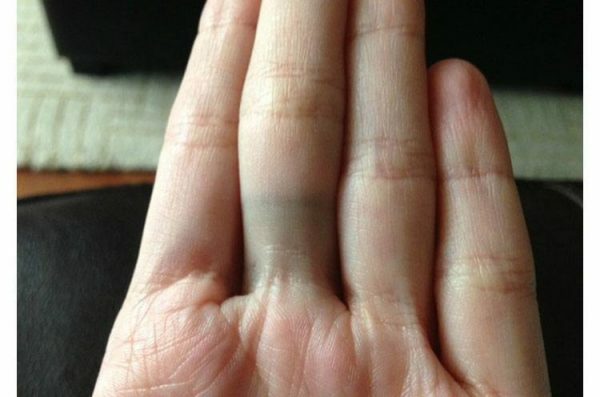 If you’re investigating a ring, check inside the band. A necklace may have it on the back of a pendant or on a small tag on the clasp. Since authenticity is important to state when buying any piece of jewelry, these stamps will be displayed proudly, and the jeweler will mention the purity of the metal and any other part of the piece, such as gemstones. Some countries do not require a piece of silver to be stamped, so be wary of a piece advertised as silver without this stamp. It may not be genuine, and if genuine sterling silver is what you’re in the market for, try to avoid this entirely unless you’re knowledgeable about its source. 3. Magnetic Attraction? Not Here! Another great way to test silver is to touch it with a magnet. Silver is not magnetic and should not have much of a recognizable pull from a magnet at all. To do this test, you want to have a magnet made of neodymium. You can find these at any hardware store, and sometimes at crafts stores. They’re not very expensive and can be a valuable tool in detecting genuine silver. 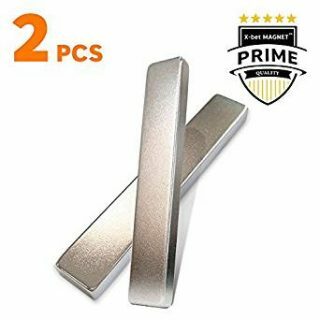 Ideally, you want to try and place this small magnet at an angle, because if it slides down your piece of jewelry, then you can be certain it’s a real piece of silver. But what if it’s too small? You should still be able to tell if the piece of jewelry sticks to the magnet or not regardless of the angle you place it on the piece. So, what happens if your piece of jewelry sticks to this magnet? Sadly, it means that it has other metals mixed into it or is only plated with a silver-like substance and has a ferromagnetic core. That means it’s made with a metal like iron, cobalt, or nickel. 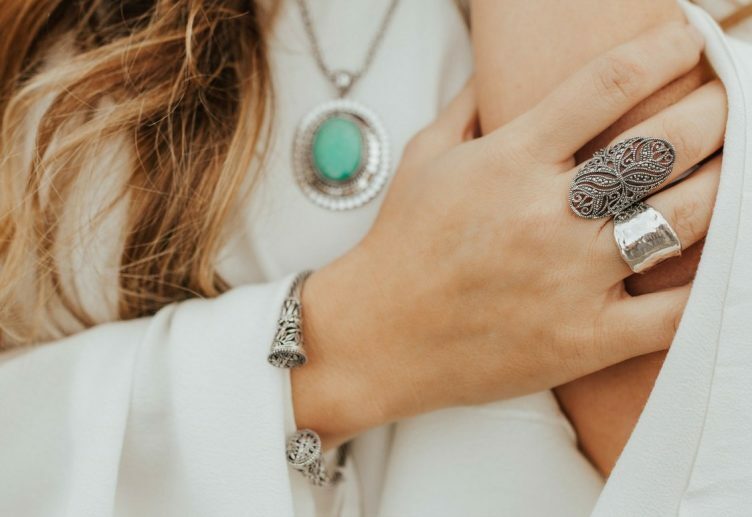 This is where a lot of jewelry allergies come from – some people are sensitive to nickel, and non-genuine silver tends to cause these reactions. It should be noted that a magnet test is not 100% reliable as some metals can mimic this paramagnetic response, so you should do other tests in addition to the magnet test if you’re still unsure about whether the piece of jewelry is genuine. There are a few ways to visually inspect a piece of silver jewelry to see if it’s genuine. Aside from the stamp, look for tarnish. Tarnish, also called patina, is a marker that your silver is genuine. This is especially useful if you’re looking at estate jewelry, or any handcrafted or artisan pieces. Patina is a surface oxidation, which forms a surface of color along the metal from reactions in the metals that are not silver. Patina can be added with bleach, but the difference between a natural patina and forced are quite stark. Forced patinas tend to be much darker and sharp in contrast, making an item look like it could be centuries old. A natural patina will be representative of a piece’s age – something that is only 10 years old will not look like it’s 1,000 years old, but instead have subtle blackening around crevices and other folds in the metal. But remember, just because patina is forced does not mean your piece is not silver – it’s a marker that it’s genuine silver. Another visual difference between genuine silver and fake silver is whether it has any type of layering or flaking. This is a dead giveaway that your piece is plated or made with some other metal. Silver will not exhibit these signs. If the piece you’re looking at is a bit aged, you may see indentations or scratches – this is normal. Sterling silver, while still strong, remains a softer alloy, and can absorb impacts more readily than other types of jewelry. If there are large flakes missing as opposed to smaller gashes or chunks, this could be an indication that it is not silver. Remember, silver does not flake – if it flakes, it’s a fake! 5. Ew, What’s That Smell? 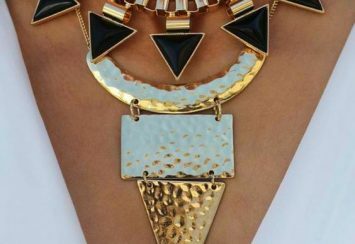 Have you ever had a stinky piece of jewelry? If so, you know exactly what we’re talking about – it’s that strong, unpleasant smell that sometimes makes you not even want to wear the piece anymore! If you’ve ever experienced that strong smell with a piece of silver colored jewelry that you’ve owned before, chances are that it wasn’t silver. Thankfully, genuine silver doesn’t have any sort of distinct smell to it. However, if you catch a whiff of something like sulfur (think rotten eggs!) or an old penny, it’s not silver. That tends to mean it’s either silver plated and made with copper or just plain old zinc alloy! If you’re looking at jewelry in the store, be sure to give it a whiff. 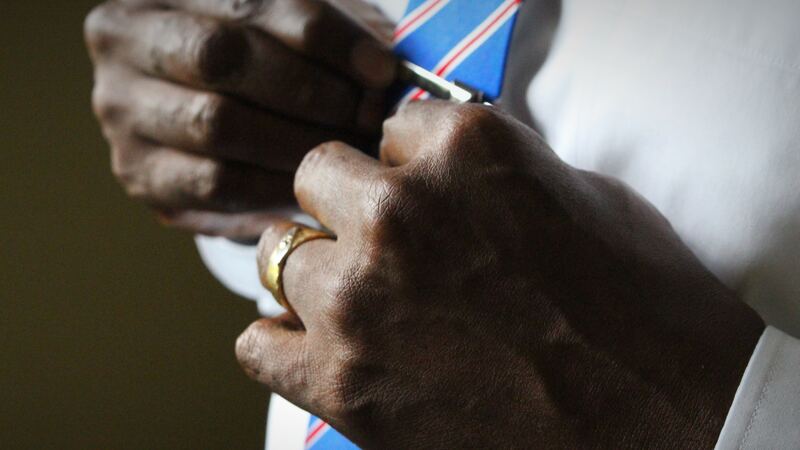 It may seem strange, but it’s a very good indicator that the metal is or isn’t authentic. If you don’t smell anything, you’re in the clear. Silver is an interesting metal in that it conducts heat far better than most metals. This means that you can test whether a piece of jewelry is pure silver just by using ice! It sounds farfetched, but due to how much heat is conducted, the ice will begin to melt almost instantly if the object is silver. The ice will act as if it’s been placed on something heated! Ideally, you want to have two pieces of ice – one for the silver jewelry, and one that you would put on another metal pan. 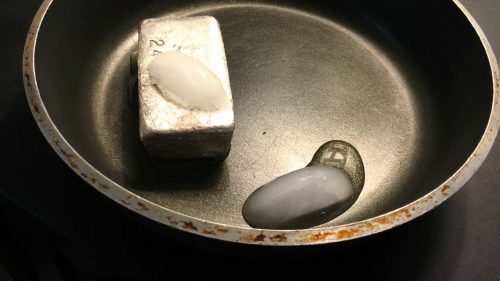 When you conduct this test, look at the rate of melting ice on the pan versus the jewelry. Which melts first? if it’s the ice on your jewelry, then congratulations – your item is genuine silver! If it melts as fast as the pan, unfortunately, your item is not made of silver. This will be harder to use on a smaller piece of silver, but if you have smaller ice cubes that will be more appropriate to the size of your jewelry, this can be a great way to test whether the object is genuine or not. One type of chemical test you can do is using bleach. If the jewelry is genuine silver, you will see tarnishing almost instantly. 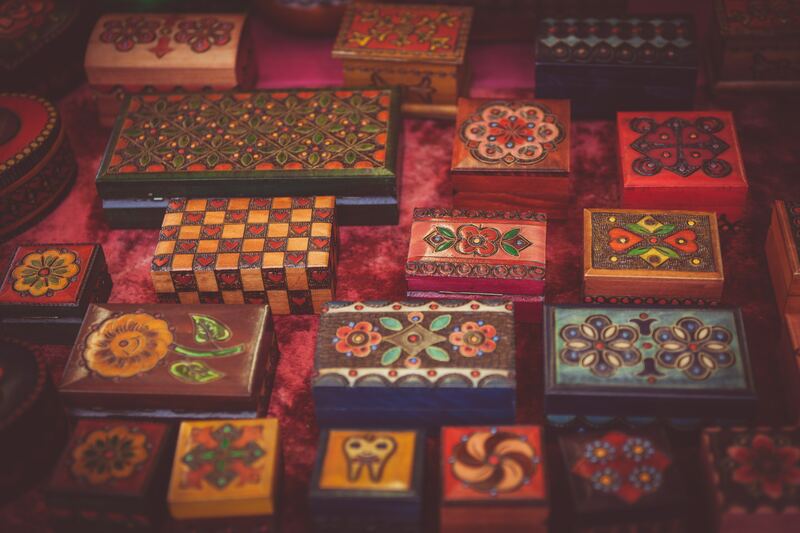 This is because the bleach hastens the oxidation process and creates that dark patina that you see on antique or artisan jewelry. 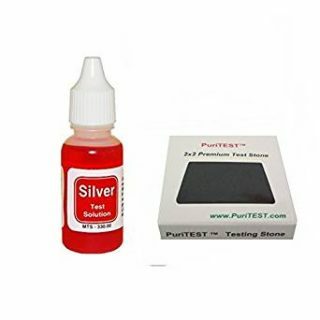 Please be aware that this does also work on silver plated jewelry, so it’s not a good test to use if you’re concerned about it being silver plated. This test is non-damaging to your jewelry, so if you decide that you don’t like the look of the patina and want to go back to the lustrous shine your silver had before the test, you can get that back easily by buffing and polishing. A huge bonus of bleach testing is that if you wanted to add patina to your own jewelry, you can use this method to add a bit of depth to your piece of jewelry without having to wait for ages. If you find your piece is indeed authentic but is lacking the aged look you want, go ahead and add some patina! It’s an easy way to give silver jewelry that unique, beautiful look. Keep in mind that if you want to resell your jewelry in the future, forcing a patina may make your silver less valuable to some. be sure to only let it sit for two hours at most, as any longer will start to corrode the metal. This is the most accurate test that you can perform on a piece of silver jewelry but be warned: you will have to scratch your jewelry to perform this test. You can purchase these tests online for a nominal fee. This is generally recommended only if you’re looking to gain authenticity for personal purposes, as the testing method damages the piece. 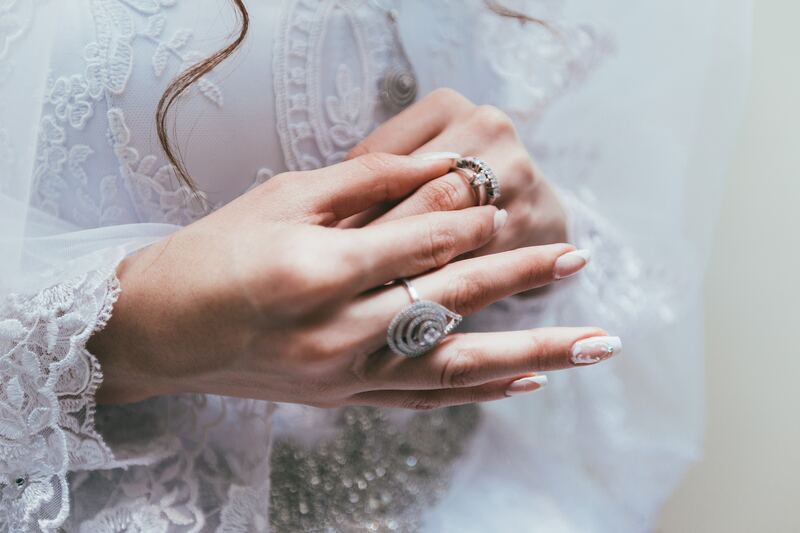 If you’re concerned the jewelry may only be silver plated, this test will tell you, but you also run the risk of opening the jewelry and starting the oxidation process early, which if you remember causes that green stain on your skin. You’re better off performing any of the other tests unless you absolutely need to perform a chemical analysis. There is a less invasive chemical test called the silver Acid Test. This involves purchasing a specific acid which you would then place a few drops of onto the item. If the acid becomes red, your item is genuine sterling silver. But if your acid turns brown or green, it means that the concentration of silver is only 80% or 50%, respectively. If you see any other colors aside from red, brown, or green, this would indicate that the item in question is indeed only silver plated and made of a different metal entirely. This is an incredibly accurate test to use if you want a quick way to test your item without damaging it. This method is readily available online if you want to go this route and can be done in the privacy of your own home. If you’ve never done chemical testing, the acid tests can be daunting, but since they are available to the public, they’re generally safe to use. 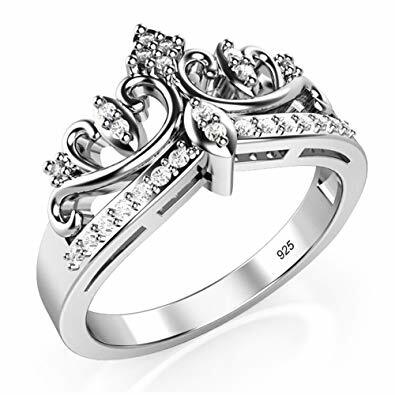 If you’re shopping for jewelry online, one of the best things you can do when you find a piece of silver is to not only read over the listing itself but to read reviews on the item itself. While you can find a lot of information in the description of the piece of silver being sold, sometimes customer reviews can be more important than what the seller is telling you. For instance, if a piece tarnishes the skin or loses its shine quickly you will see people mention that. Conversely, people like to talk about good things as well, so if it is a quality piece of silver jewelry, that should generally be reflected in the reviews as well. But what if you can’t find reviews on the silver piece you’re looking at? If the site you are looking at does not offer reviews, look at the company itself. Do they mention the types of metals they use? 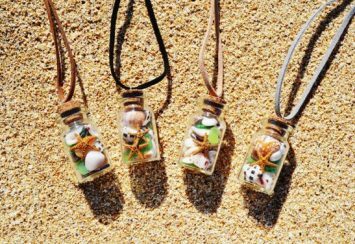 Some sellers offer authenticity certificates with the jewelry they make; this is often the case with small artisan creators who will sometimes add in a story about the jewelry itself! It’s a really easy way to see whether the piece you’re looking at is authentic. 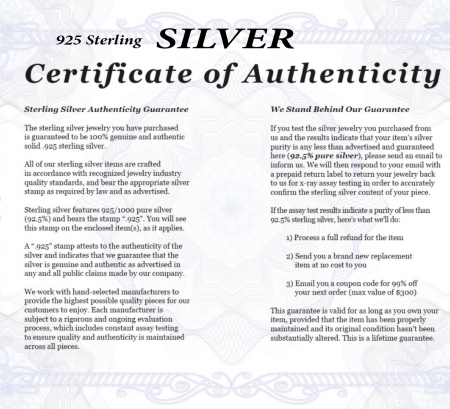 As you can see, there are a multitude of ways you can test to see if your silver jewelry is genuine or not. Most of these can be done quickly, and without any further knowledge required. A combination of a variety of these methods is important to use. If you’re still in the buying process, the most important thing you should be aware of is reputation at that point – where the jewelry is from and who made it is going to tell you easily if it is indeed genuine silver. You should also be able to discern marks if you can have the item in front of you. If you’re shopping online for items, make sure you check reviews and see if any customers have posted photos, or whether the seller guarantees the silver is genuine. What are their returns policies like? Chances are a reputable dealer is going to let you return jewelry if it’s not up to your standards, so that should ease your mind in purchasing. But if you already have the item in your possession, any of these methods would be appropriate to check your piece of jewelry. Many manufacturers are using less than sterling grade silver due to the risings costs of the metal, and if you’re looking to have that beautiful, shiny genuine sterling silver in your piece of jewelry, you must make sure to validate whether it’s authentic. It’s a little more work, but the reward of having the real deal is so much better than finding out you’ve got a green stain on your finger. We hope these tips helped you learn how to test and identify sterling silver jewelry. Did you try any of these methods yourself? Let us know in the comments!